Travis d’Arnaud’s fractured hand will take at least four to five weeks to heal, succeeded by baseball activities, if all things go to plan, reports Adam Rubin of ESPN New York. d’Arnaud hasn’t been sitting at home away from action, though. d’Arnaud took just promoted prospect Kevin Plawecki out to dinner to talk about Plawecki’s promotion, a very nice touch from d’Arnaud. Vic Black will be taking his third MRI since the preseason has begun. This is a little scary, but luckily, the doctor reported that he is in better shape than when he was last evaluated. 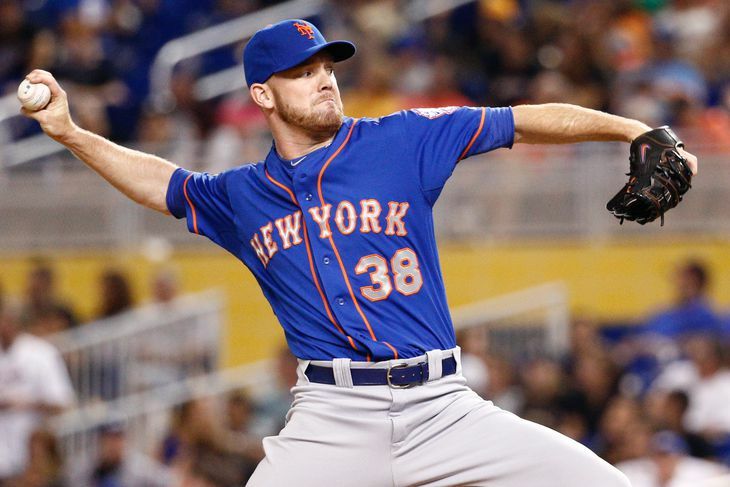 Fellow reliever Bobby Parnell threw 93 Miles per hour in a recent rehabilitation game.